Balmuri Falls in Mysore is a simple but amazing water falls in Mysore, which is an ideal place for a weekend getaway to rejuvenate your mind. With its exceptional scenic beauty, lush greenery, and a much relaxed environment, the Balmuri Falls in Karnataka is an ideal spot for a picnic or a daylong getaway from your hectic work schedules. The name “Balmuri” literally means ‘right turn’ and the name comes from the naturally curving river which is in the direction of the ‘right’. The sight of water falling is quite attractive and is one of the best vacation places to spend with your friends or family. The Balmuri falls is around 18 kilometers away from Mysore and is located in a quiet remote location from the hustles of the city. The Balmuri Waterfalls will not disappoint you in any ways as it has a charming beauty and is also a place worth exploring. Balmuri Waterfalls looks more beautiful with the charming water of the Cauvery river and the serene and spotless nature of this waterfall attracts people from various places. The Balmuri Waterfall is yet to be known as a major travel attraction in south India as this place is still untouched and not known too much to the outer world. 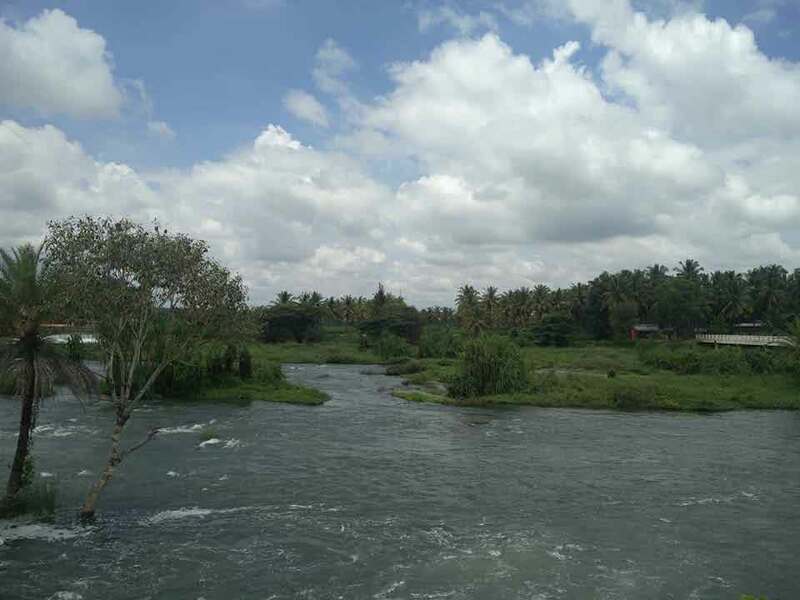 But the fact remains that, the Balmuri waterfalls is one of the best eco friendly travel destinations in Karnataka and is also less crowded, which makes it a favorite family vacation destination. Another interesting fact about Balmuri Waterfalls in Karnataka is that, it is not a natural waterfall. In fact Balmuri falls is a man made waterfall for the purpose of constructing a check dam across the river Cauvery. The Balmuri falls has the water falling down from a height of six feets, that makes it looks like a compact waterfall. Event hough the water doesn’t falls from a great height the Balmuri falls looks captivating enough for anyone visiting this place. The scenic beauty of Balmuri falls is something that makes the travellers exhilarated and the calm atmosphere makes this place more special. Most of the major travel destinations in Karnataka are over-crowded these days and people often tend to look to travel destinations that are less crowded and beautiful enough. This is where people select unexplored destinations such as Balmuri waterfalls, as such places are less crowded and helps the travellers to enjoy their trip to the fullest. People can get into the water and walk through when there is minimal amount of water, but is is not recommended to get into the water when the water flow is vigorous and may appear dangerous. It is best to spend your time on the banks of the waterfalls which is shady enough for you to enjoy with your friends or family. You can have a dip in the waterfall when the water flow is low, and this will indeed make you feel refreshed. 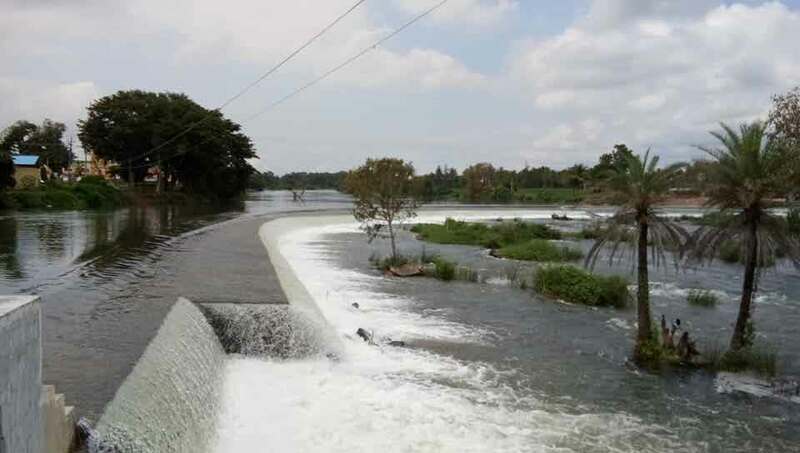 The water flow increases only when the dam is opened and at that time you need to be extra cautious. Apart from taking a dip in the water, the Balmuri falls and its surroundings are well known for its scenic beauties. You can have a mild walk around the waterfall to explore the tranquil beauty of this waterfall and its surroundings. You can also avail the option for enjoying a boat ride along the rive Cauvery along with your friends and family. The Balmuri water falls in Mysore is one of the most popular picnic spots to hang around, especially in summers as this place is surrounded by fresh stream of water. Moreover the waterfall is surrounded by palms, paddy fields and a small island. You can also avail an opportunity to visit the popular Ganapati Temple that is situated near the waterfalls. Even though Balmuri waterfalls in Karnataka can be visited throughout the year, the best time to visit this place is between March to August. During this time period the water level remains relatively low and you can safely have a dip in the water, play and have fun with your famile or friends. During the monsoon period, the waterfall will be overflowing with water, which will be an extra ordinary sight for the travellers. It is better to avoid visiting this place during the weekends, as it tends to be somewhat over crowded. So better plan your trip when the crowd is less, so that you can relax and enjoy the beauty of Balmuri waterfall to its fullest. If you are planning to visit Balmuri waterfalls by air, then the nearest airport is Bangalore International Airport which is at a distance of around 150 kilometers and you can hire a cab or a public transport bus from there to reach Balmuri falls. Mysore is well connected with the other major cities and is just 18 kilometers away from Balmuri falls. You can take the road route from Mysore to reach Balmuri on a bike, car or bus. The nearest rail heads to Balmuri are Mysore and Sreerangapatna. Once you reach the nearest railway stations, you can able to move towards Balmuri on a cab or bus. This entry was posted in Mysore and tagged balmuri falls mysore, balmuri waterfalls karnataka, balmuri waterfalls mysore, waterfalls in karnataka, waterfalls in mysore. Bookmark the permalink.